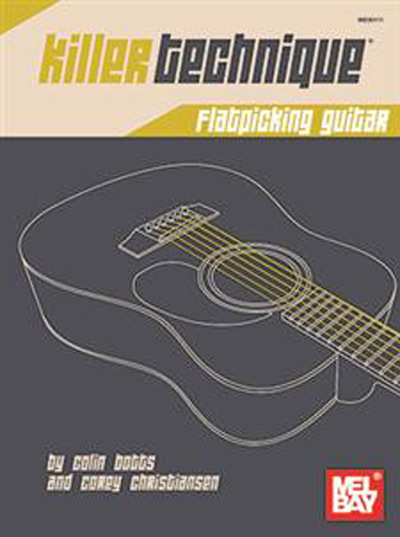 Killer Technique: Flatpicking Guitar is designed to serve as a valuable resource to guitarists of all ability levels interested in developing greater finger dexterity and picking accuracy. A variety of exercises are presented that enable guitarists to isolate and drill many of the technical requirements and stylistic elements commonly encountered in flatpicking guitar. Topics covered by this book include left-hand chromatic exercises, horizontal shifting up the neck, scalar sequences, alternate picking, economy picking, and cross picking. Most importantly, many of the techniques presented within the book are applied to musical etudes and examples that are both challenging and rewarding to play.